Subject: EMAIL AWARD WINNING NOTIFICATION 2007(CONGRATULATION YOUR EMAILADDRESS HAVE WON YOU A PRIZE)!!! EMAIL AWARD WINNING NOTIFICATION 2007(CONGRATULATION YOUR EMAILADDRESS HAVE WON YOU A PRIZE)!!! 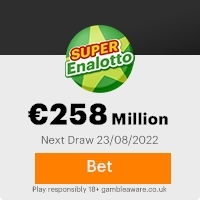 March 2007, this result was initially delayed due to mix up of email addresses, the results were finally released on the 7th May 2007, and your email attached to Ticket number: 212005600545188 with Serial number: 4888/02, which drew the Luckynumbers: 41-6-76-13-45-8,which consequently won the lottery in the Second category of the year 2007.You are therefore approved for a lump sum payout of â1,000,000.00 (ONE MILLION EUROS ONLY) in cash accredited to file reference number:KPC/9080333308/03 this is from a total cash prize of â19,000,000.00(NINTEEN MILLION EUROSONLY) Shared among the nineteen international winners in this category.Your fund is now deposited in a security company with your prize money insured in your email. remitted to your account as this is part of our security protocol to avoid double claiming or unwarranted abuse of this program by participants as it has happened in the past. companies,this promotion takes place annually.We hope your lucky email address will draw a bigger cash prize in the next high stake promotion agenda of â30,000,000.00 (THIRTY MILLION EUROS). Mr Jeff Carlos World Royal Consultancy And Securities Madrid Spain. For due processing and remittance of your prize money to a designated account of your choice.Remember,You are to contact our agents by email and within a week of receiving this notice.After this date, all funds will be returned to the MINISTERIO DE ECONOMIA Y HACIENDA as unclaimed.For further processing and remittance of your winning funds you are fill and forward to our claim agent the completed processing verification form below. (1)NAME OF BENEFICIARY (2)ADDRESS (3)TELEPHONE (4)DATE OF BIRTH (5)OCCUPATION (6)NATIONALITY (7)COUNTRY (8)TICKET NO (9)SCAN COPY OF IDENTITY(International passport or drivers licence or any otheridentity). To avoid unnecessary delays and complications,please quote your reference/batch numbers in any correspondences with us as your assigned claim agent.Congratulations once more from all members and staffs of this program. Previous: LUCKY WINNERFresh ScamsNext: DEAR : WINNER!!! This Email with the Subject "EMAIL AWARD WINNING NOTIFICATION 2007(CONGRATULATION YOUR EMAILADDRESS HAVE WON YOU A PRIZE)!!!" was received in one of Scamdex's honeypot email accounts on Fri, 15 Jun 2007 17:15:40 -0700 and has been classified as a Generic Scam Email. The sender shows as "royalspnishlot@terra.es" <royalspnishlot@terra.es>, although that address was probably spoofed. We recommend that you do not attempt to contact any persons or organizations referenced in this email, as you may expose yourself to scammers and, at the very least, you will be added to their email address lists for spam purposes.